If there’s one thing Black folks learned about life during the days of segregation in the “Jim Crow” South, it was that hard work and self-reliance were the common denominators required in order to survive. There were no Costco’s or Wal-Marts where folks could stock up on grocery items; most people relied on living off the land to meet their needs. For Mozell Broomfield and her nine other siblings, it was no different. Her parents were on the low end of the food chain in the world of agriculture, moving from place to place, wherever the seasons dictated. Mozell’s family eked out a living as migrant farm workers instilled by a strong Christian work ethic like so many others of that time. Aside from developing character and the skill to persevere during those arduous times, her fate took a turn for the better. Had it not been for her family traveling to New Jersey to tend the crops which were in season there, Mozell probably wouldn’t have met the man she would later marry and raise a family with. The man she met was Lloyd Broomfield, a native of Jamaica who was also living in New Jersey at the time. The couple got married in 1963, raised two children, Bridget and Bernard, and was together until 2011 when Lloyd passed away. “I took advantage of the program and also studied business at Broward Community College. With a $100,000 loan from the bank, I was able to purchase the two lots and build the store from the ground up, right where our store is located today,” said Broomfield. Her husband had his own lawn service Broomfield conceded. “My husband preferred to work outside.” So, un-daunted she set out to do what she had to do to make the store successful; 25 years later the store is still going strong albeit under the management of her 41-year-old son Bernard. “It was never easy but I never gave up. In order to run a successful business you’ve got to learn how to do everything,” said Mrs. Broomfield. Mother and son both agree that it hasn’t been easy having lost a husband and a father. They also agree that it takes plenty of hard work to continue running the store which has had to adapt to the changes that the neighborhood has undergone, leaving them with the challenge of keeping up with a supply which meets the demands of the store’s customers which also has changed. “In order to stay in business you’ve got to provide good customer service and give the customer what they want,” said Bernard Broomfield. He’ll be the first one to admit that he’s made his share of mistakes along the way but through trial and error and his ability to adapt, he’s been able to keep the doors open and his business flowing and that means keeping his customers satisfied. It’s obvious where Mozell Broomfield’s son Bernard, get’s his business savvy from. Although he’s still in charge of the store’s day to day operation, he still relies on some motherly advice from time to time. 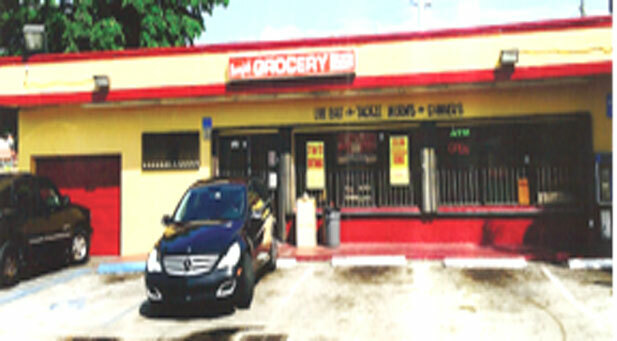 As for now the store still offers a variety of grocery items and staples such as canned goods and household items. Bernard has opened up a thriving bait and tackle business complete with live fresh and saltwater bait, worms, and tackle. The store is open 24 hours, seven days a week. Bernard has become quite a savvy businessman over the years, learning to diversify as a wholesaler as well as retailer. He even now provides products to other stores.